ORANGE CITY, Fla. - A possible sinkhole has opened in Orange City and continues to grow, according to officials. 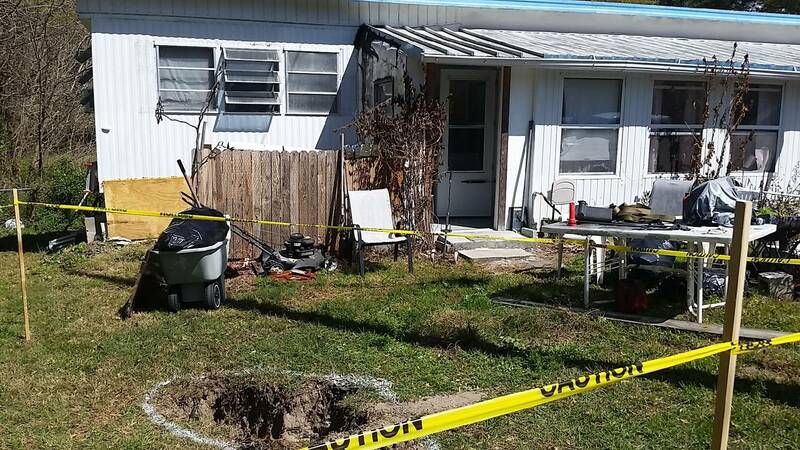 Orange City police and fire officials were called to the hole, which is 5 feet wide and 4 feet deep, at Orange City Mobile Home Park at 7 a.m. Tuesday. Authorities said the homeowner will monitor the hole and if it continues to grow, residents will have to leave the home.